Stefanie Boster joined Hickey & Evans in 2014 as an Associate. Prior to joining the firm, she worked in Casper, Wyoming. She graduated from the University of Montana School of Law in 2002 where she served as a member of the Public Land and Resources Law Review. She received her Master of Taxation (LL.M.) from the University of Denver Graduate Tax Program in 2003. She is admitted to practice in all Federal and State Courts in Wyoming and the Tenth Circuit Court of Appeals. She is also admitted to practice in all Federal and State Courts in Colorado and Montana. 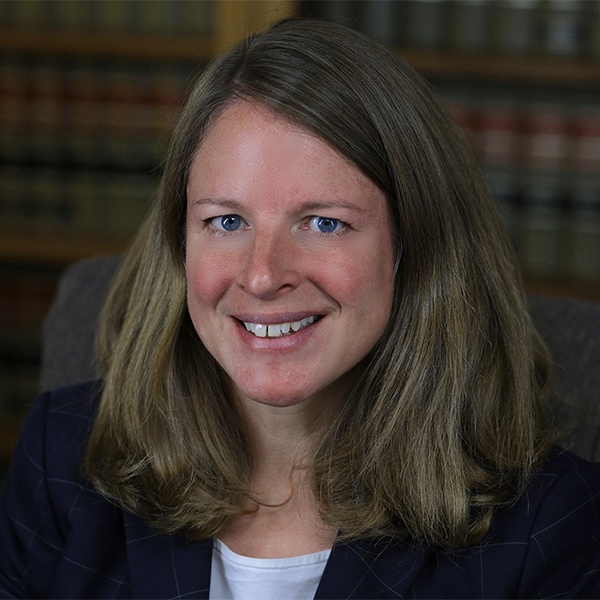 Stefanie is a member of the Wyoming State Bar, Laramie County and American Inns of Court. Stefanie graduated from Purdue University with a B.A. in political science where she participated as a coxswain on the Purdue Crew Club winning numerous medals, including gold as a member of the women’s junior varsity eight at the 1998 Dad Vail Regatta. A native of Casper, Wyoming, she served on the Casper City Council from 2007 through 2011. She is also a 2010 graduate of Leadership Wyoming and has served on numerous boards and committees in both Casper and Cheyenne. She enjoys rowing, running, swimming and cycling.